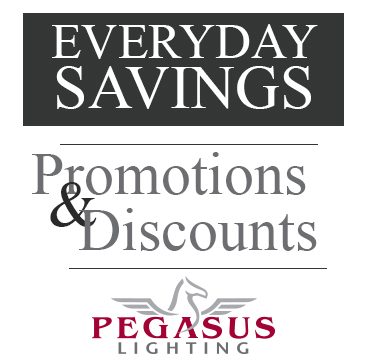 This post is written by a guest blogger for Pegasus Lighting. What is the Federal Energy Deregulation Act? Since the Federal Energy Deregulation Act passed in 1999, many business and homeowners still haven’t exercised their right to choose their energy supplier. The ability for consumers to lower their energy costs, protect against rising rates, and, if interested, make an environmentally friendly choice, are all benefits of Deregulation. 3rd Parties help accomplish this by strategically purchasing the energy you use, in the same way the utility previously did, in the open market. Depending on your state and the utility which serves you, the benefits will vary. Stringing lights onto your Christmas tree can be a major nightmare. I mean, people have written songs about how terrible it is. Before the stress of the season takes over, check out our latest guest post from holiday expert Linda Knighton. These simple tips for lighting your artificial Christmas tree will help keep peace on earth throughout your holiday preparation. If you’re new to owning an artificial Christmas tree, you may discover that it’s a little different to decorate. Although it generally takes more time to put light strands on an artificial Christmas tree, the benefit is that once you’ve placed them on the branches, you won’t have to remove them again. Below are some ideas for selecting the right lights for your Christmas tree, and some tips on how to decorate with them. Use 50-foot light strands. According to Better Homes and Gardens, these lights are less likely to have electrical problems or burn out. If you want subdued lighting, Better Homes’ website suggests 12 boxes of 50-foot light strands for a 6-foot tree, or 20 boxes for an 8-foot tree. If you prefer a brighter look, use 20 boxes for a 6-foot tree or 30 boxes for an 8-foot tree. Energy Efficient Windows: Worth It In The Long Run? Energy-efficient lighting is always a big topic on our Light Reading blog. Today, thanks to Jim Klossner, a home and garden writer, we are able to put a focus on another big energy-efficient topic – windows and doors. There is some great information in this post about figuring out if it is time to upgrade your windows and doors and the options available. Enjoy! When it comes to energy costs in the home, heating and cooling are a major factor. Many of the weakest points in your home’s fight for thermal efficiency are the windows and doors. This is especially true of older homes or those with large entryways and windows. Most retailers make it sound like the only fix for this is to buy the latest, greatest doors and windows. While newer energy efficient doors and windows can offer benefits in the right situations, are they truly worth the time and cost investment? The benefits offered by these upgrades are largely dependent on your existing windows and doors. One of the biggest factors to consider is the current configuration and the seal of the windows or doors in question. Single pane windows and metal doors offer little in terms of insulation and thermal resistance. They are especially prone to temperature changes due to wind. Combine this with aging seals, weak frames or shoddy installation and you have the perfect recipe for a drafty home and expensive energy bills. Today’s guest post focuses on the outside of your home. Jennifer, a staff writer for Fortified Roofing, reviews four ways to really give the exterior of your house that “Wow!” factor. I am going to go ahead and add a fifth way to this list – outdoor lighting. No big surprise there, huh? Now back to our regularly scheduled guest post. Today we have a guest post from Jillian Watkinson of Community Home Supply, a family-owned Chicago kitchen and bathroom showroom. Jillian’s post gives us some tips for improving the look of your home’s yard with strategically placed outdoor lighting. Regardless of what your backyard looks like, how big it is or what landscape style it’s been built to, the addition of decorative dynamic lighting arrangements in strategic places is guaranteed to improve your yard’s look immensely. Placing lights around your property in certain patterns is not difficult or expensive and can turn even an ordinary yard into a nighttime wonder. Take a look at the following tips and maybe use some of them to liven up your garden space with dynamic light arrangements. What are Your Existing Yard Features? As a first step towards setting out your lighting arrangements, take a good look at your front yard, back yard and any walkways you have to decide where lights could be placed for maximum effect. For example, if you have a walkway in your front yard and a large stone or wood patio in your back, you might want to think about surrounding their edges with small decorative lights in order to accent their presence and shape.